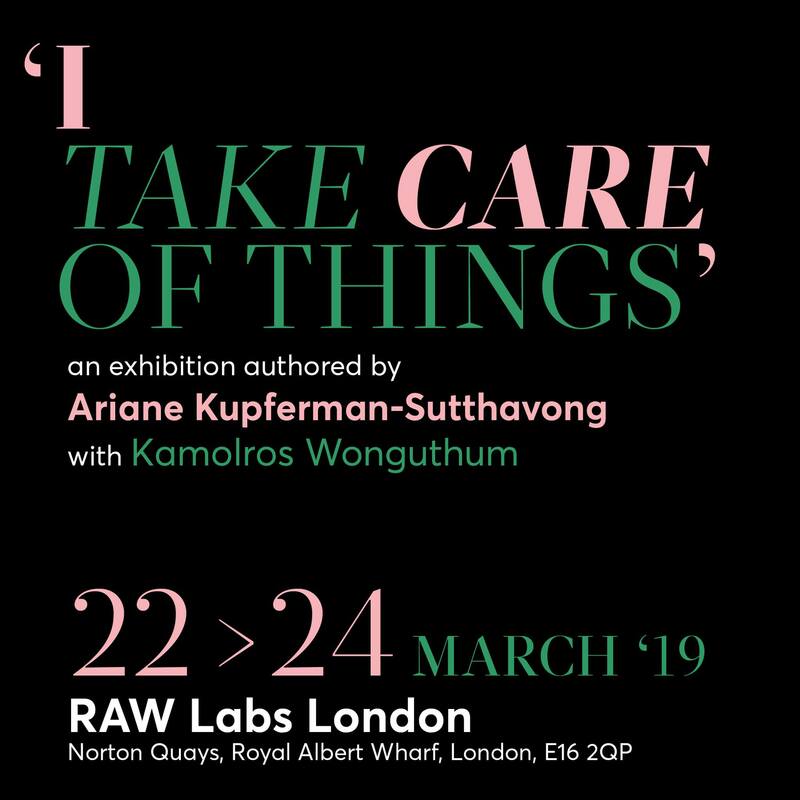 Drawing from personal experiences in Thailand’s art scene, where a larger number of artists are male and curators female, Ariane Kupferman-Sutthavong and Kamolros Wonguthum delve into the feminine characterisation of acts of care. Looking back at the roots of the word “curating” (from Latin “curare” or “to take care of”), artist Kamolros Wonguthum’s autobiographical work questions the gendered power structures in Thailand – bringing to light one instance in which women are associated with supportive, rather than productive, labour. In an interactive display showcasing multiple voices, curator Ariane Kupferman-Sutthavong asked women in arts-related employments to add their stories to a collection of no-win situations. As she explores the dichotomy between “care” and “control” elements in the curatorial role, she establishes parallels with women’s experiences in work environments, where they are either perceived as “too nice”, “too soft”, “too weak” or “too assertive”, “too controlling”, “too masculine”. Ariane Kupferman-Sutthavong (b. 1993) is a freelance curator and writer based in Bangkok, Thailand, and London, United Kingdom, where she is currently pursuing a Masters in Art and Politics at Goldsmiths, University of London. Through exhibitions, curatorial projects and writing, she explored art as a platform for dialogue on topics of censorship and curbed freedom of expression in post-coup Thailand. She is also interested in alternative modernities and overlapping systems of speed in the context of Southeast Asia. Her past exhibitions include group show Seeking Permission and Yawngwhe Office in Exile at Cartel Artspace, Thailand. Kamolros Wonguthum (b.1992 Bangkok, lives and works in London and Bangkok) Her feminine approach towards structures of power employs an autobiographical approach in not victimizing the use of personal narrative. She wants to empower social value systems and concepts that are possibly considered vulnerabilities. Her practice aims to subvert aspects of gendered stereotypes, shifting how we objectify what we see.